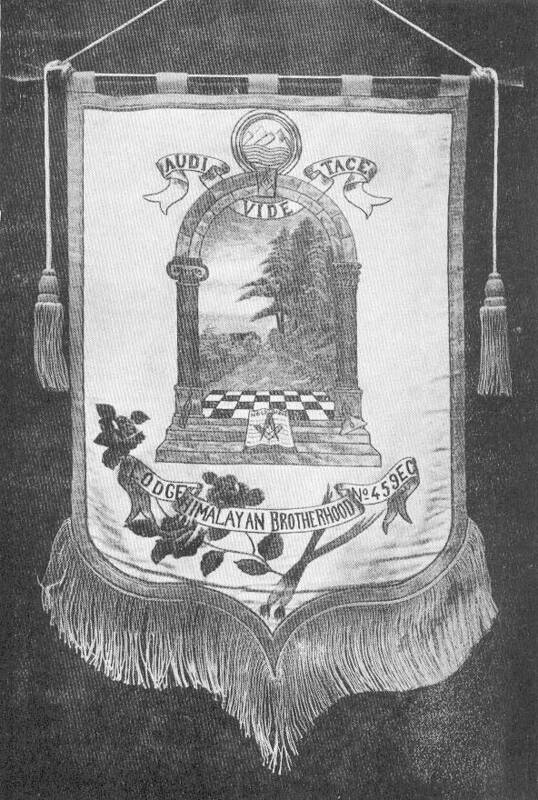 The lists and photographs of Himilayan Brotherhood members on this site are taken from a paperback book I found entitled "Lodge "Himalayan Brotherhood" No. 459 E.C. being Extracts From the Minute Books and Correspondence From the Foundation of the Lodge on May 19th, 1838 to the 30th May 1927 with a Nominal List of Members. Compiled up to the end of the year 1908 by The Late Wor. Bro. E.O.W. Wiley and Re-Edited and Extended to the year 1927 by Wor. Bro. G. Reeves-Brown (P.D.G. Chaplain Punjab) Printed under the Authority of D.G.L."